Kasargod: July 9, 2015: An eight year old boy was brutally stabbed to death by a ‘mentally ill’ person at Periya Kaliyat in Bekal police station limits on July 9, Thursday. The accused has been trapped by locals and handed over to the police. The deceased boy is Mohammad Fahad, son of Ayesha and Abbas couple of Periya. He was studying in third standard in a local government school. The accused has been identified as Vijayan (30). The incident took place when Fahad along with his little sister and another child from a neighbouring house was on way to school. As the children were passing through a deserted area, the accused Vijayan tried to terrify the kids and in a flash of a second stabbed Fahad with a knife. The little boy succumbed soon after. The accused was caught hold of by locals who rushed to the spot on hearing the cries of the children. 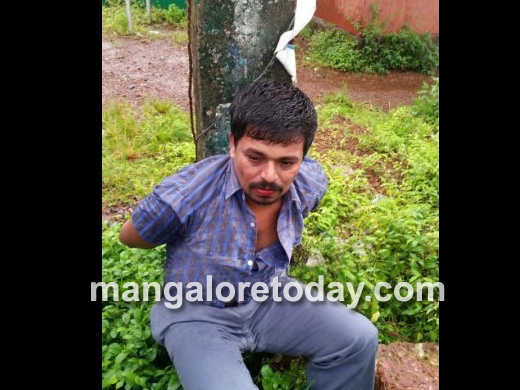 They tied him to a tree and thrashed him before handing him over to the police. It has been gathered that the accused was arrested a couple of years ago after he tried to terrify locals by stating that a bomb was planted on a railway track. Locals say he was mentally ill and was presently engaged in coolie works. Bekal police are investigating the case.